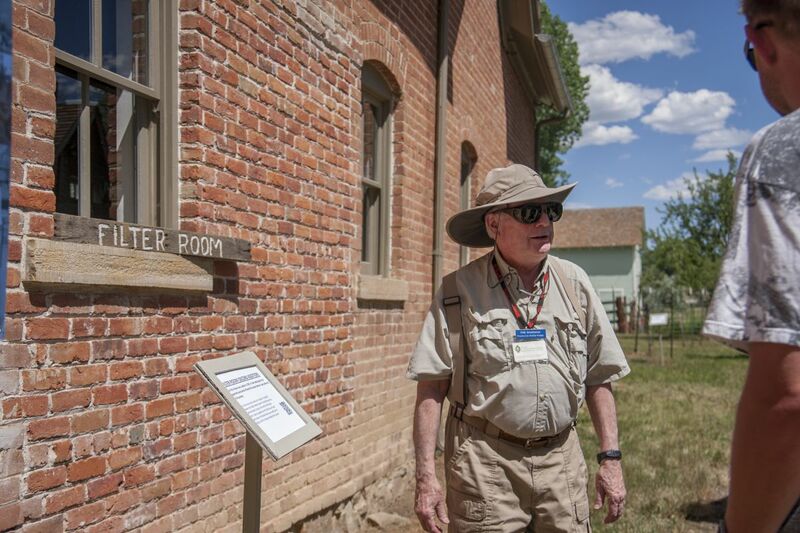 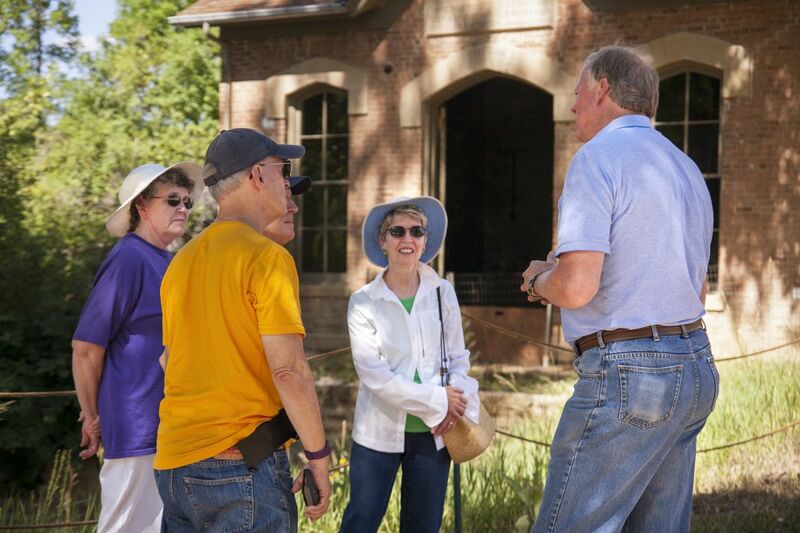 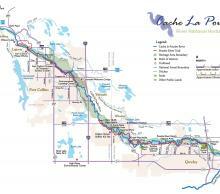 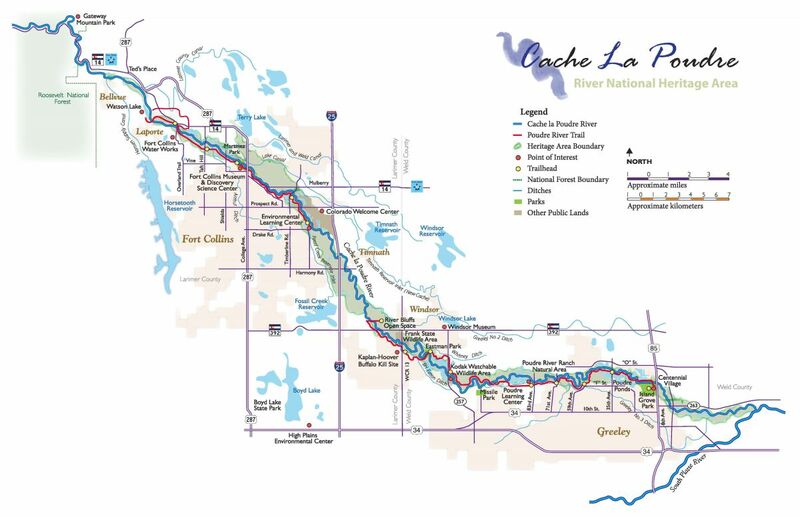 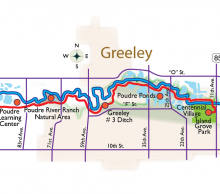 The Heritage Area extends for 45 miles and includes the lands within the 100-year flood plain of the Cache la Poudre River. 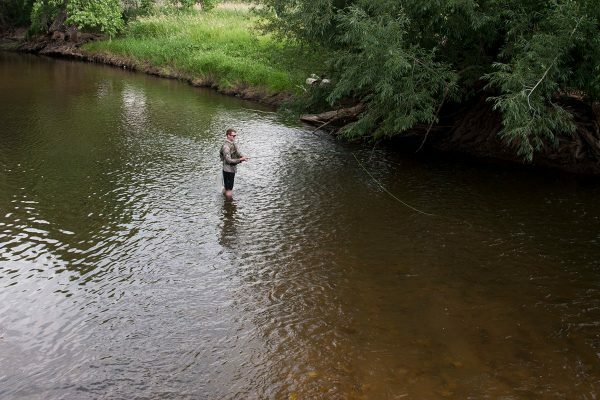 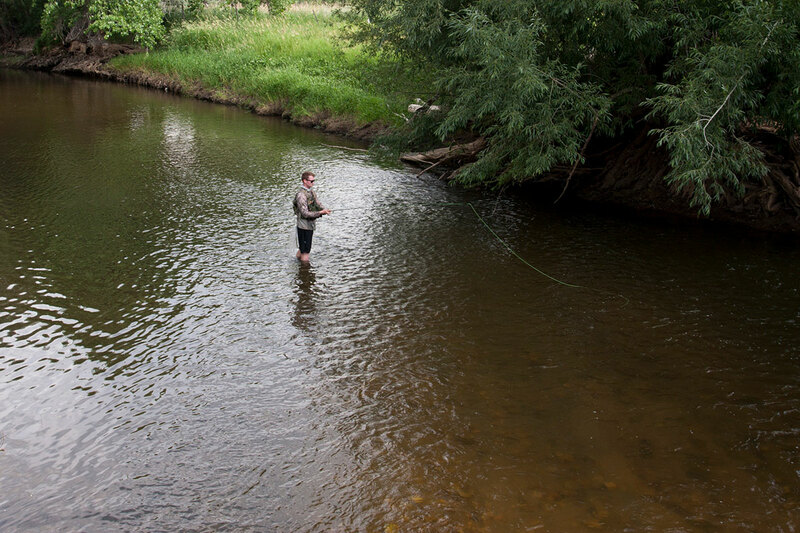 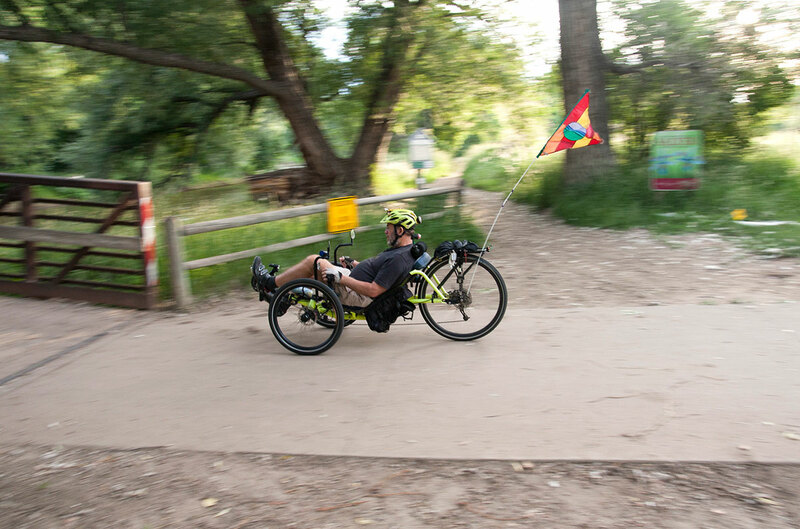 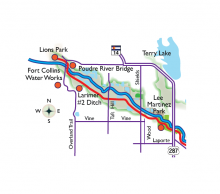 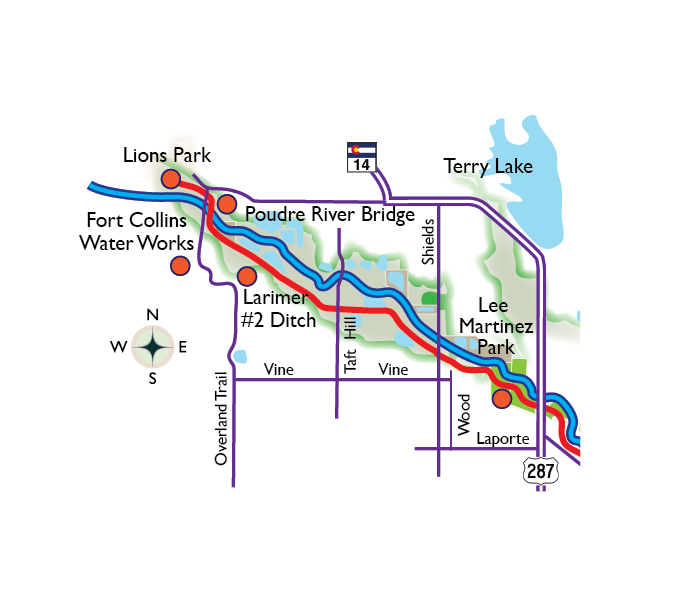 It begins in Larimer County at the eastern edge of the Roosevelt National Forest and ends east of Greeley, ¼ miles west of the confluence with the South Platte. 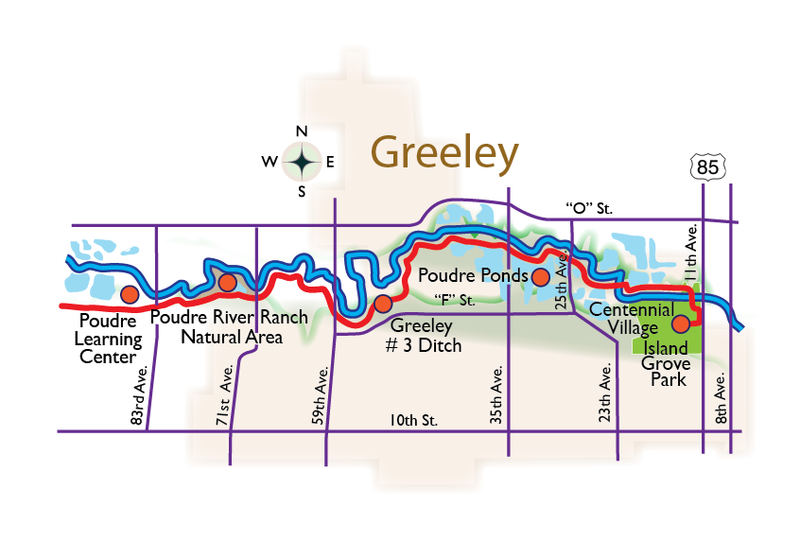 Poudre Learning Center to Island Grove Regional Park.